Trying to space out kiddos is tricky business. My husband and I wanted more than two children but it didn’t look like it was going to happen. Surprise! Being pregnant and having a 13 and 9 year old was never the plan, so I was a little bit nervous. After we got over the shock of finding out we were expecting a little bundle, I went into freakout mode and started worrying about how things were going to pan out between the baby and our older kids. One night, I was reading in bed and contemplating our future life as new parents. I could only think of how our kids were going to react to the baby. Would they be helpful? Would they be mad about how their lives were turned upside down? Would the baby ever be as close to them as they are to each other? All of these things and more were running around in my brain and then, I look over and see my precious husband making shadow puppets on the wall with my reading lamp. At that moment, I knew things were going to be alright. It was official…I was going to have 4 kids. Fast Forward a few weeks. When we found out what we were going to have, I knew one of the kids wouldn’t be happy at all because our son wanted a brother and our daughter wanted a sister. We let them spray each other with silly string and when they saw that it was blue, our son was super excited. Our daughter acted as if she were excited and then started crying real tears. Lesson learned here is that we don’t always get what we want. In the end, females are outnumbered in our house. Really though, I think our daughter will not ever want to relinquish her crown as princess. She now loves having a brother and can’t wait until he gets bigger. Hold on sister, time is going to fly by fast enough. 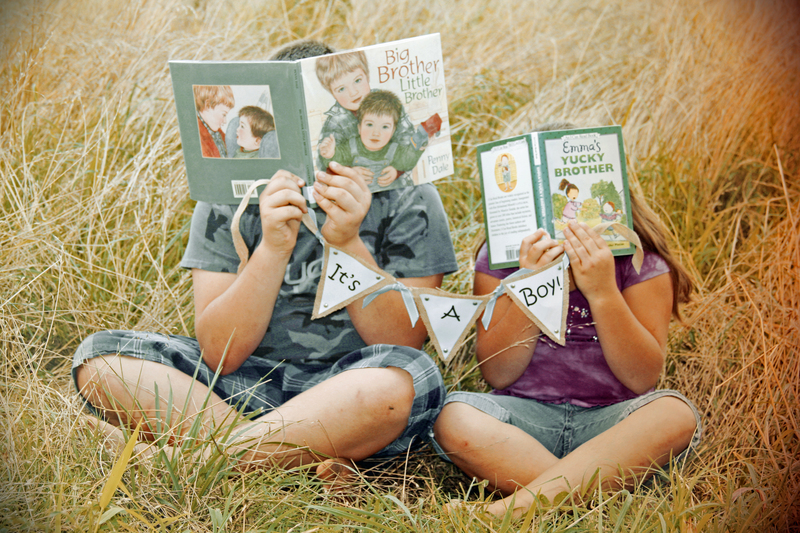 That baby is going to love and adore his big sister (and brother too). As a big sister to a brother that was 7 years younger than me, I can vouch for how special that relationship is watching your little brother grow up. LOVE your blog. I have a feeling you are right. Seems like they all have already really bonded. There’s no telling what kind of shenanigans they will pull:). And thanks so much for the compliment! I’m for sure enjoying some “me” time.